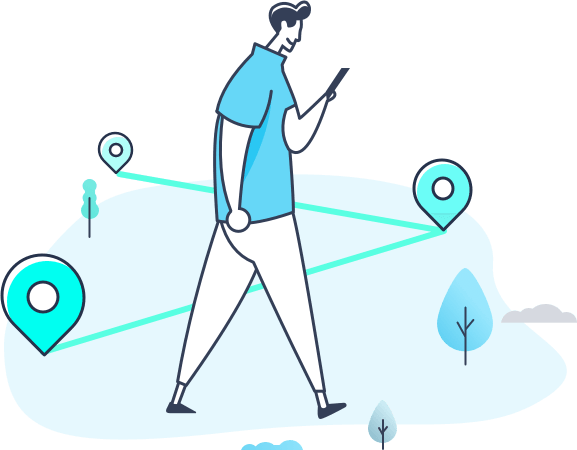 Keep track of your kid's location in real time. Easily keep track of your kids without having to constantly ask where they are. Remind yourself the battery level of your kid’s device (which is displayed on the interface) in case it is powered off. The live location is automatically updated each time you open the app (on parent’s device) or log into the FamiSafe account. You can also manually update it on the app interface. Finally on your own phone sign in as “Parent” using the same account. FamiSafe will automatically connect your kid’s device. When everything is settled, you can do all control things including tracking remotely on your own device.